The picturesque old market town of Chagford lies deep in the Dartmoor National Park, surrounded by hills and moors and set above the banks of the River Teign. 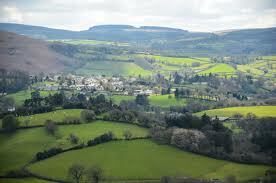 It is one of the four Dartmoor Stannary Towns where tinners brought their tin for assaying. With a thriving community, it has a comprehensive range of shops and inns centred around the square and market house, locally known as ‘The Pepperpot’. The town also has primary and Montessori Nursery schools, medical, dental and veterinary facilities and churches. There are many active clubs and societies supported by excellent leisure facilities, including football and cricket pitches, a bowling club, tennis courts and a seasonally open air swimming pool. Despite the deeply rural atmosphere of the town, the A30 dual carriageway is only approximately 5 miles away, leading west to Cornwall and east to the University and cathedral city of Exeter with its wider range of amenities and private schools. From here there is access to the M5 motorway, mainline rail connections to London and an international airport. The central Devon regional centre of Okehampton is also easily accessible along the A30 where the additional facilities of three supermarkets, sports centre and cinema are available. Gidleigh - a small village which has a 15thC granite church and the remains of Gidleigh Castle, a late 13thC fortified manor. There is good walking out to the moor at Scorhill. Gidleigh is also the location of the world-renowned Gidleigh Park Country House Hotel. .
Throwleigh is an interesting old village centred around a cross, roughly inscribed to celebrate Queen Victoria's jubilee. It has a church and The Northmore Arms pub in the nearby hamlet of Wonson. Three miles to the north east of Chagford is Castle Drogo – the last castle to be built in the UK and now currently owned by The National Trust. This is situated near Drewsteignton, a quintessential Devon village with thatched houses surrounding the village square. Other picturesque villages and small communities abound within a few miles of the town, including North Bovey, South Zeal, South Tawton, Belstone, Sticklepath, Spreyton and Cheriton Bishop. Travelling south from Chagford, just five miles distant, is the town of Moretonhampstead, often billed as the Gateway to Dartmoor. Situated on a crossroads, there are routes to Exeter, Newton Abbot and Princetown on the high moor. The town has a modern sports centre and primary school, as well as a good range of shops and pubs. The Bovey Castle Hotel is located just outside Moretonhampstead, as is The Miniature Pony Visitor Centre. . This attractive corner of northern Dartmoor has many other villages, each of which retains a strong sense of its own identity and community spirit. This is an ideal area for those seeking a quieter more peaceful way of life, yet with all the amenities of modern living just a short distance away. Search our database of properties for sale and rent in Chagford.